The PMW-F5 is a lot of camera packed into a small body. A Super 35mm CMOS sensor. Internal 720p, 1080p, 2K and 4K recording. Slow motion up to 180fps. The ability to record in MPEG2, XAVC, HDACM-SR, ProRes and DNxHD. It even has a damn good LCD viewfinder and sits nicely on your shoulder. You can download the operating instructions for the PMW-F5 here. 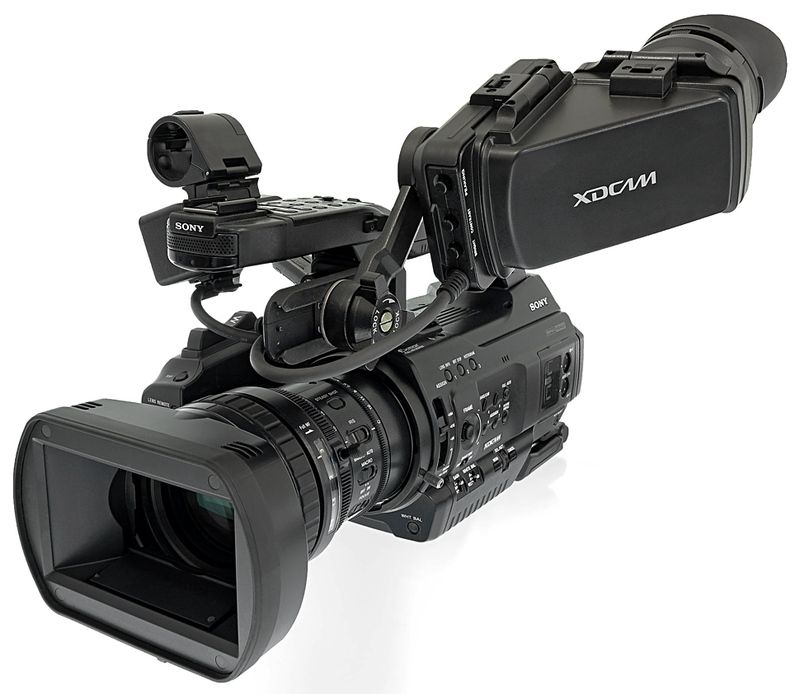 The PXW-FS7’s ability to record internally in a variety of formats and codecs is the first and foremost selling point. Offering full Cine 4K, UHD 4K, 2K, 1080 and even 720, the FS7 fits seamlessly into any production. Adding to the versatility are the codec options: XAVC-I, XAVC-L, MPEG-HD 422, and, yes, even ProRes 422 and 422HQ. These codecs are seamlessly integrated within all modern NLEs, thus giving the PXW-FS7 astounding flexibility. Combine these choices with the option to shoot from 1-180fps and we finally have a camera that can please both the production and post-production crews. Another huge selling point of the PXW-FS7 is its size. Weighing in at under 10lbs with the viewfinder, eyepiece, handgrip, battery and lens all attached, the camera is lightweight and shoulder mountable. The universal adaptability of the native Sony E-mount makes things even better, as the camera offers full iris control of Canon EF lenses and full functionality of those lens’ image stabilization. The PXW-FS7 can easily switch from composed interviews on a tripod to b-roll with the interview subject to run-and-gun scenarios. The camera records to Sony XQD memory cards, which come with a USB3 reader. A 64GB card can hold 75 minutes of 1080p footage or 30 minutes of 4K footage at 23.98fps. And with the ability to hot swap the cards in the camera, and two available card slots, rolling on a long interview is not a concern. The final trick that the FS7 has up its sleeve comes with the addition of the XDCA extension back. This allows you to not only use industry standard V-Lock or Anton Bauer batteries and a four pin DC ower input, but also gives you a timecode in/out spigot, genlock, RAW output and *hallelujah! * enables internal ProRes recording to the XQD cards. ProRes 422 and 422HQ are your options, and suddenly you and the FS7 are an editor’s best friend. 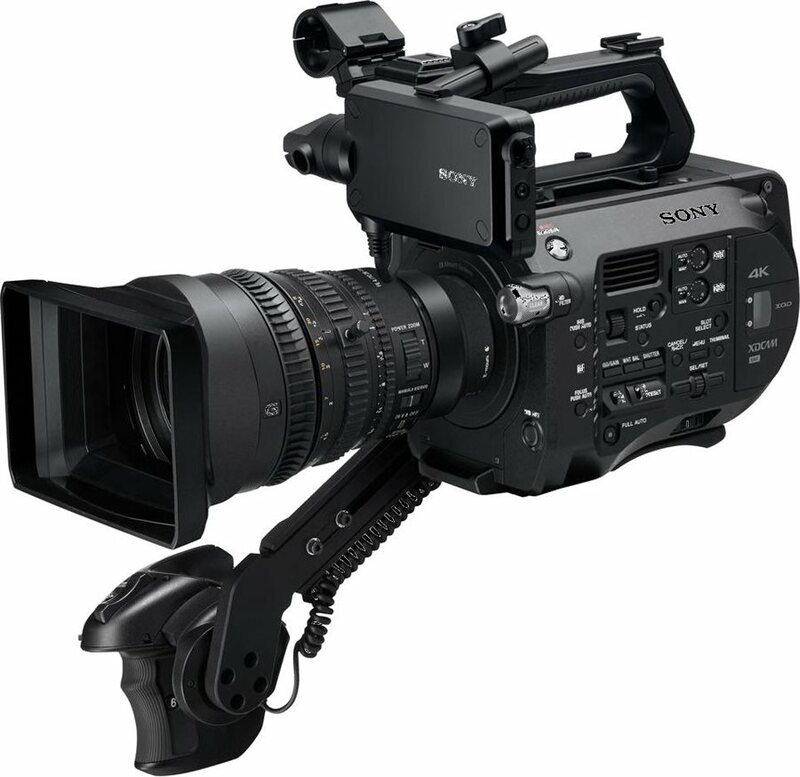 The operating manual for the Sony PXW-FS7 can be downloaded here. Building on the worldwide acceptance of Canon’s DSLRs, the Canon C300 brings a revolutionary Super 35mm sensor and broadcast accepted internal recording. However, the technical aspects of the camera are just one part of the fun. The C300 is a camera that demands to be picked up and used, because that’s when the ergonomics make sense, that’s when you realize how good the built in viewfinder is, that’s when you realize that what you’ve been missing for the past couple of years while using DSLRs is a real video camera. 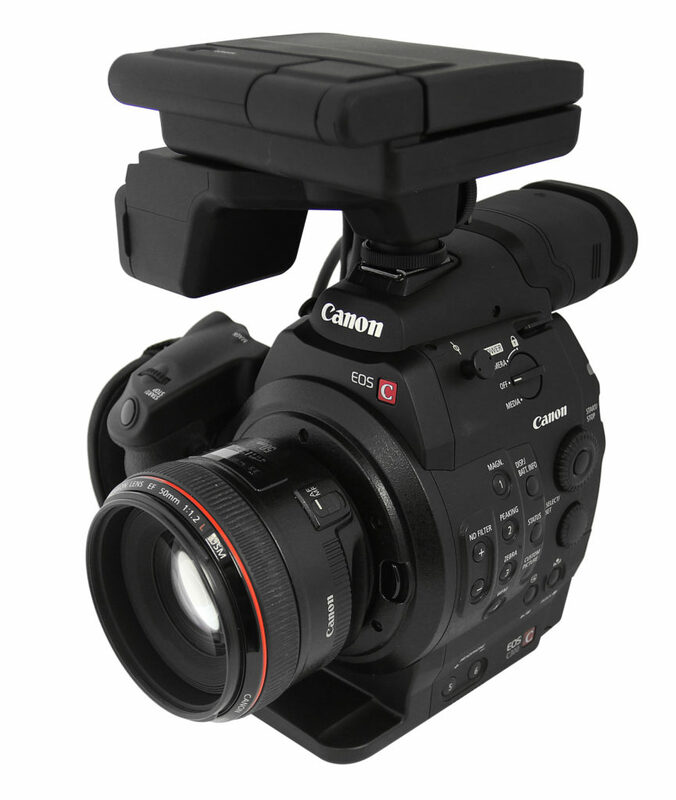 Download the operating instructions for the Canon C300 here. 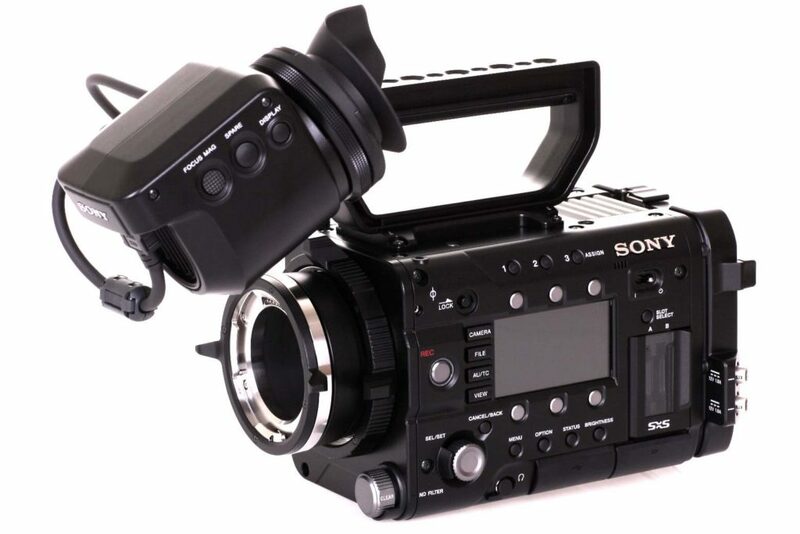 The Sony PDW-F800 offers excellent flexibility in a 2/3" ENG camera, shooting 1080p/1080i, 720p, PAL and NTSC at 60, 30 or 24 frames per second and offers a further choice of seven different recording formats. The F800 is able to over- and under-crank, meaning that it can be used for slow and fast motion photography, and also has a built in intervalometer for timelapse shooting. Utilizing 50GB dual sided XDCAM discs the camera is capable of shooting continuously at it’s highest data rate for 95 minutes. Monitoring can be acheived through two HD-SDI outputs, and the camera even offers the ability to record proxy files to a USB2 flash stick while shooting. Menus are easily accessible and viewed through the LCD screen on the operator side of the camera, and the PDW-F800 come with a color viewfinder. The manual for the Sony PDW-F800 can be downloaded here. The Sony PMW-300 is the successor the PMW-EX3, and is a significant upgrade. While the sensor and lens are identical to the EX3 (although you can still remove the lens and replace it with either a different 1/2″ lens or a 2/3″ lens using the ACM-21 adapter) the PMW-300 now offers 50Mbps 4:2:2 internal recording, which is the minimum broadcast standard for NBC, National Geographic and the BBC. 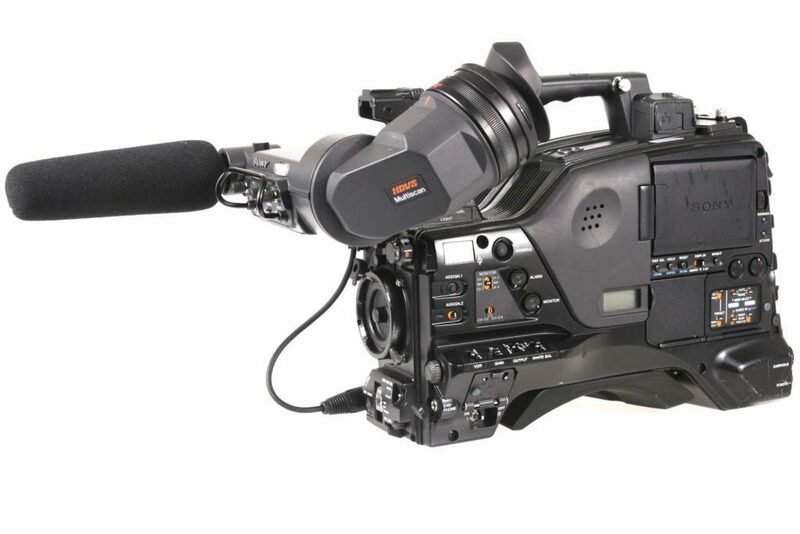 In addition, the PMW-300 features a much improved viewfinder; an additional SDI and a new HDMI output; a welcome redesign to the positioning of all the spigots; a generally sturdier body; and (thankfully) two threaded 1/4″-20 screws for a secure tripod plate connection. You can download the manual for the Sony PMW-300 here.